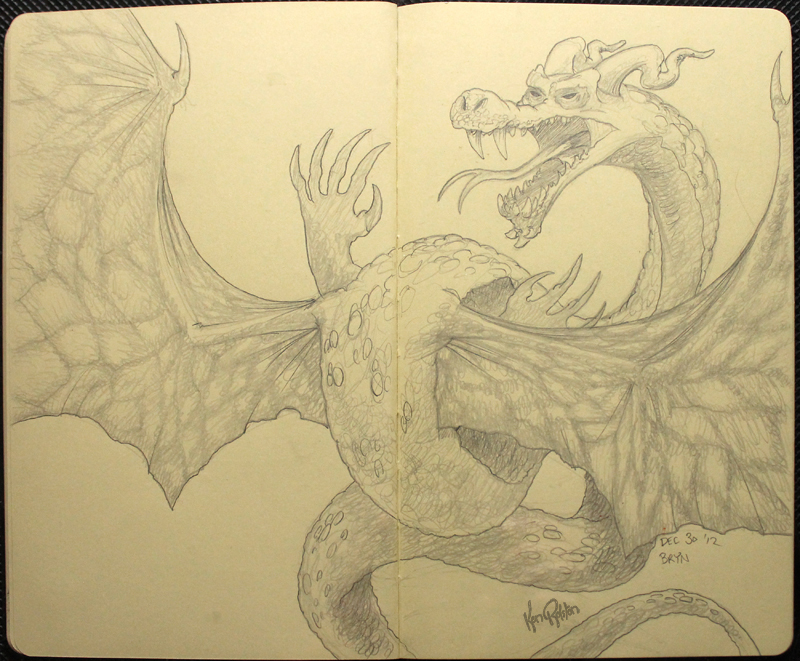 Dragon 453 – Bryn marks the last dragon of 2012, and drawing number 202 for the year. Hopefully 2013 brings many more! Make sure you enter my contest to win a “Moe the Mushroom Dragon” print. Contest is open until January 15th.